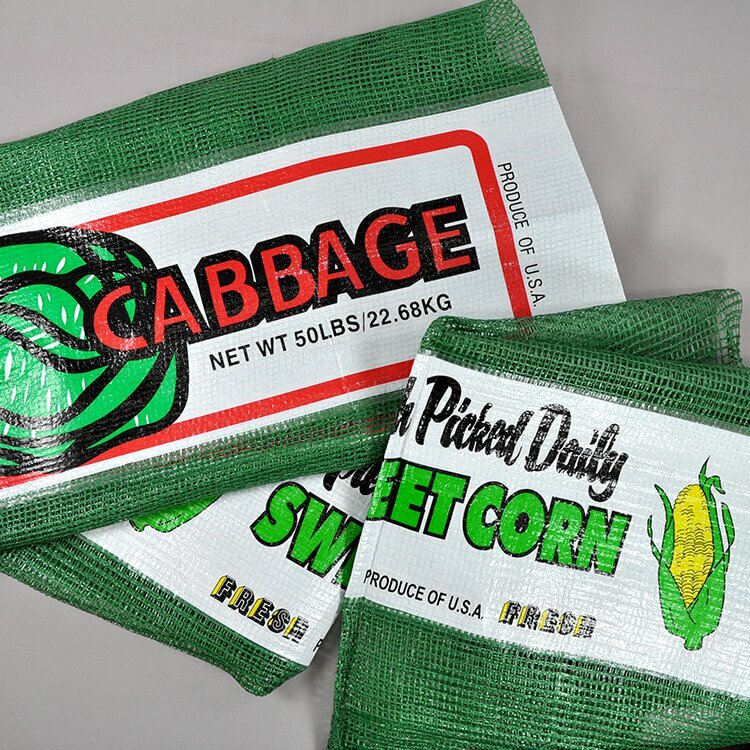 Polypropylene bags are 100% polypropylene and can either be mesh or woven. We sell the bags individually, so you can buy what you need with no minimum order. These bags are not waterproof and non-biodegradable. For larger heavy duty loads, you can try flexible intermediate bulk container bags. Shop all polypropylene bags here. 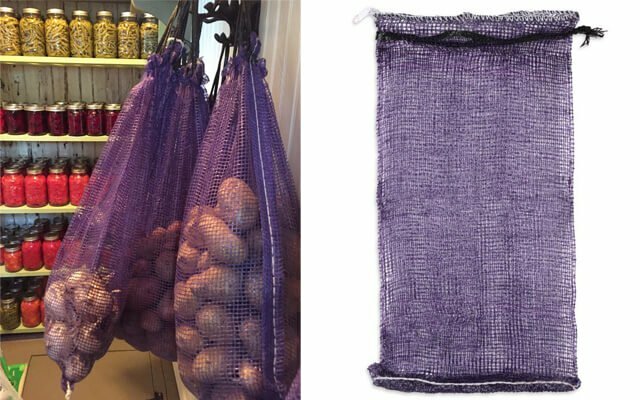 This customer is using the bags for potato and onion storage. Thanks for submitting the photo! Check out our collection of polypropylene bags.